Littleton Food Co-op’s Healthy Food Access Program Increases Community Access to Healthy, Local, and Organic Food. The Healthy Food Access Program (HFA) is a discount program designed to make healthy food more accessible to everyone in our community, regardless of income. Littleton Food Co-op members who are currently recipients of SNAP, SSI, or other supplemental assistance are likely eligible. Approved members receive 10% off all eligible* purchases. You must be a Littleton Food Co-op member to apply for the HFA program. Qualified Applicants may be eligible for financial assistance to become partial Li ttleton Food Co-op member-owners. Financial assistance shares are non-refundable. HFA membership must be renewed annually. A renewal reminder will be sent during the first month of every year (January). Participants in the HFA Program are not eligible for patronage rebates while enrolled. The HFA discount may only be used by person(s) approved during your application process. Become a Littleton Food Co-op Member. 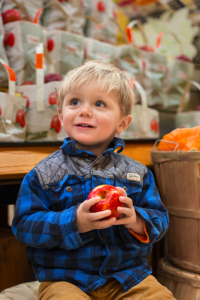 Complete the Healthy Food Access Application and drop it off in-store at the service desk. The Application is available to print online, or you may pick up a copy at the service desk. While we’d like everyone to consider purchasing a full membership, partial membership is all that’s required to participate in the HFA program. A full membership is $100. Partial membership can be purchased in increments of $25.Qualified applicants may be eligible for financial assistance ($25) to become a member. Financial assistance shares are non-refundable. If you’d like to be considered for financial assistance in becoming a member, please be sure to check the appropriate box on your application. I’ve Applied — What’s Next? Please allow approximately two weeks for application processing. You will receive a letter from our member services team indicating the status of your application and discount. The Healthy Food Access Program is just one of many initiatives the Co-op supports to aid and strengthen our community. For more information on our commitment to the Greater Littleton Area (and beyond), please contact our Marketing Team. For further information on the HFA program, or any other membership related questions, please contact our Member Services & Community Outreach Coordinator.